Every so often DC gets bored with traditional cat toys and goes after something that moves on its own. 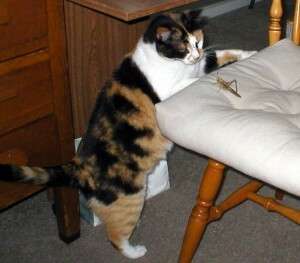 After a while the grasshopper got away. 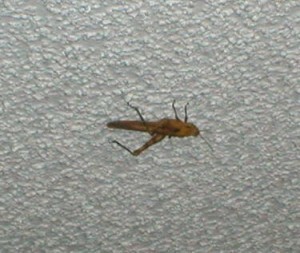 It then took refuge on my ceiling for several days. However, eventually my wonderful goddaughter came by to catch the grasshopper and release it back into the wild, where I am sure it will live happily ever after or until my cat catches it again. I am a knight in shining heels.